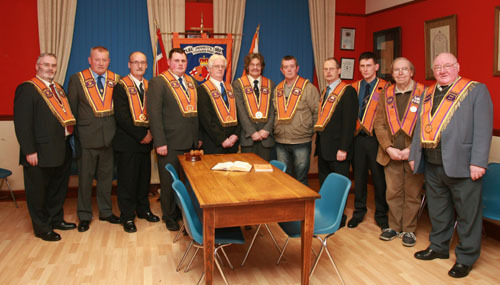 The installation of District Officers for 2010 took place in The King William III Memorial Orange Hall. Many visitors from County Antrim Grand Lodge and Belfast County Grand Lodge as well as neighbouring District Lodges were present. 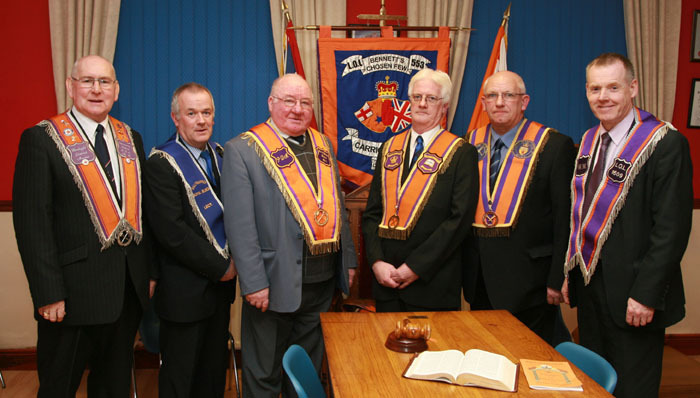 Middle two Brethren, left to right; W. Bro. Harry Purdy (outgoing District Master) and W. Bro. Jim McClurg, new District Master. All members wish the newly installed officers every success during their term of office.